Above is a photo of Cascade at the pier a prestigious place with Waterfront access, and beautiful views. Please contact Matt Gul Personal Real Estate Corporation at 788.888.8888 or matt@mattgul.com for more information about this beautiful place. Even the most beautiful real estate filled with beautiful features are not immune from changes in the real estate market. Topping the list of the highest assessments is an 11,000-square-foot, five-bedroom waterfront mansion in West Vancouver, custom designed by architect Russell Hollingsworth, at 3330 Radcliffe Ave. Its value this year is listed at $29.8 million – down from last year’s assessed value of $35.1 million. The second highest assessed value this year is a $28.2-million Chartwell mansion at 1690 Marlowe Ave. – down in value from $30.5 million last year. The third-highest assessment is another Hollingsworth-designed waterfront mansion situated in Dundarave, at 2588 Bellevue Ave., valued at $26.9 million after falling from $30.86 million last year. Other neighbouring mansions in the West Bay, Sandy Cove, and Chartwell neighbourhoods round out West Vancouver’s top 10 assessments – which start at just more than $20 million. The most exclusive enclave in North Vancouver remained a neighbourhood on the Dollarton waterfront, where six properties cracked the $10-million mark in assessed value this year – three others clocked in between $8.3 million and $9 million. The highest assessed home in North Vancouver, however, was a secluded 14-acre compound in the woods above Deep Cove, at 2250 Indian River Cres., assessed at $12 million. 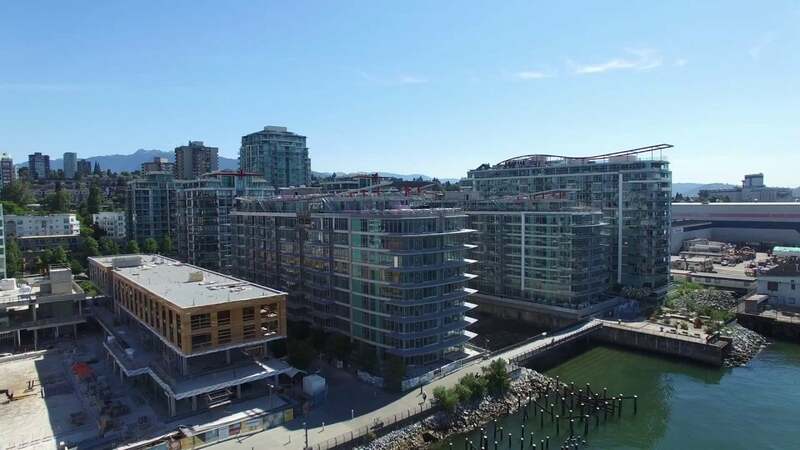 In the City of North Vancouver, eight of the 10 highest assessments were waterfront condominiums. The highest assessment was for a condo at 1301-199 Victory Ship Way, which was assessed near $8 million which is $1 million more than last year and a massive increase from its assessed value of $4.4 million two years ago.